In 2013 two winners of Hungary’s Junior Prima award – violinists, Mihály Rosonczy-Kovács and András Soós formed Hungarian FolkEmbassy with the goal of presenting unarranged authentic-style Hungarian folk music in Hungary and abroad. Their mottos are: “Believe in the authentic” and Zoltán Kodály’s thought: “He who does not belong to a nation cannot belong to humanity”. Under this sign and Márta Sebestyén’s patronage, they host dance houses entitled ’Home in the Heights’ through the free university. Their series of round table discussions and lectures seeks to provide an informal platform for cultural meeting between representatives of the dance house movement and members of the intelligentsia from Hungary and beyond. With the free university they have a culture blog and online group singing and dance courses. FolkEmbassy makes it their own special mission – hence their choice of name – to search out musical contacts that will strengthen Hungary’s cultural diplomatic connections through music, while also presenting the organic cultural unit created by Central European peoples. They feel that it is important to demonstrate to an ever-widening international audience how the various periods of European heritage live on in Hungarian folk music and folk dance. They travel the world with this goal. In the past years they have performed at the opening of the Milan Expo, toured in Poland, Estonia, Pakistan and most lately in Taiwan. 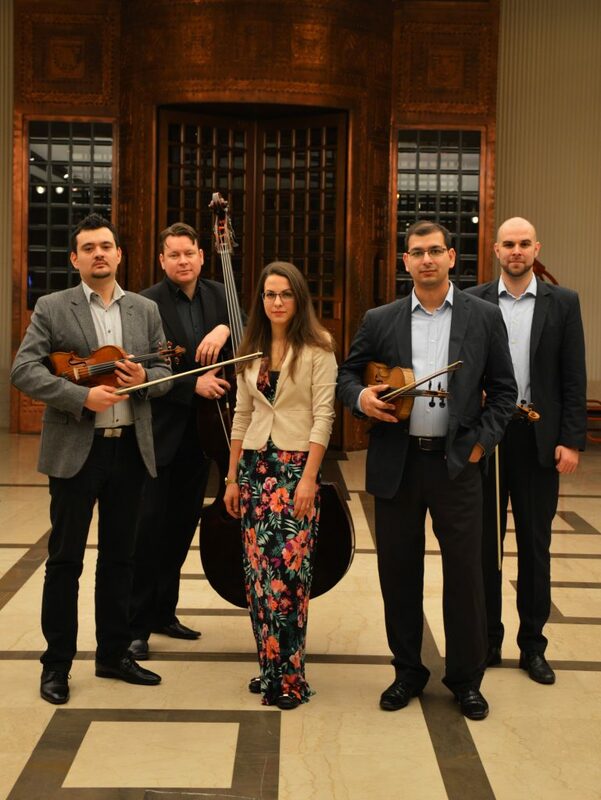 Their Náisz-Köszönjük concerts, together with Ovidiu Barteş a Romanian violinist from Cluj-Napoca, present the role of Gypsies in Hungarian culture through the language of music. In June 2016 they released their first recording: Felsütött a nap az égre/The Sun Shines on the Heavens. This double DVD set contains 7 hours of music recorded in karoke format with 33 of their singer and musician friends – with the aim of bringing folk song back into everyday life. Their next recording shall be: Báthory-Bem-Balatonboglár – The Polish-Hungarian friendship in folk music . It includes Márta Sebstyén performing with Polish musician, Janusz Prusinowski. Every Friday evening the band plays from 7pm in the Araz Restaurant at the Continental Hotel Budpest.